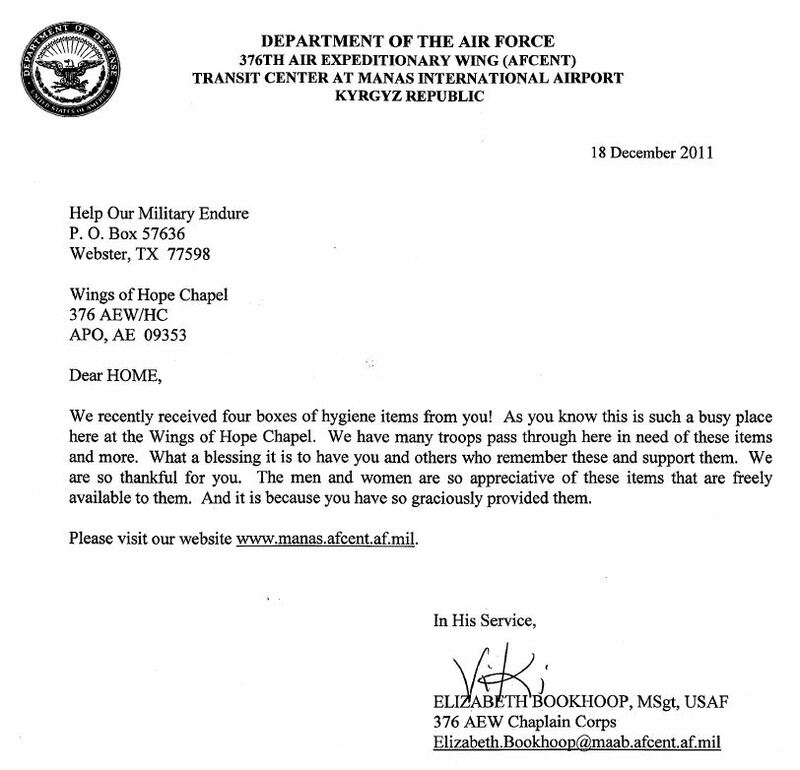 Most of the Airmen in my two squadrons live in buildings, but a few people are in tents due to availability. The males are living 8 to a room, females have much smaller rooms so there are only 2 to a room. We have community showers on each floor of the building, so shower shoes are a must! Even though we clean regularly, it is always dirty. Small washable rugs to set outside the door to keep dirt out of the rooms or next to the bed to put your feet on when you get up would be greatly appreciated. The large 3M hooks or magnetic hooks are hard to get here, and everyone needs at least three in their room to hang up their jackets, web belts and PT gear. Everyone loves receiving beef jerky of all kinds (hot and spicy, teriyaki, regular, etc), nuts, trail mixes, candy bars (favorites are Sprees, peanut M&M's, Twix, Reeces, PayDay, KitKat and SweetTarts), chocolate energy/workout bars and drinks. We also try to increase morale with a weekly "movie night", so new or classic DVD movies are awesome. We are on a small FOB with little to no items in the tiny PX here. My Paratroopers would greatly benefit from snack foods: cheetos, funyons, chocolate chip cookies, sun chips, triscuit crackers, ritz crackers, pretzels, twizzlers, and any other kinds of snacks! Our how hall is ok; we have 1 small fridge in our section. Any magazines having to do with hunting, outdoors, computers, technology, current events, Mad magazine type reading would boost morale greatly. Red-lense flashlights; any kind of small red lense flashlights would be very helpful. Any DVDs (comedy, sci-fi, action, suspense, horror, and thriller) would be an awesome distracter from daily activities for them. They are all quite fond of chocolate (big shocker!). That always seems to brighten their mood. We would really love any and all support by these items above. We truly appreciate you even reading this, as that shows you havent forgotten about those of us still over here. Thank you!!! 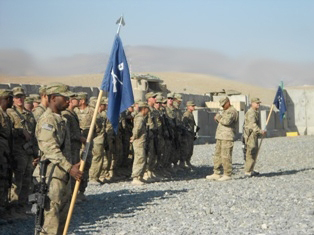 hello I am a soldier in Afghanistan it gets pretty hard out here away from friends and family and as brothers we try to keep one another in good spirits. some things that could help us would be the morale patches (they always make me laugh) and cold weather gear would be much appreciated or even a written letter of support. Thank you and god bless. This passed couple weeks have been real hectic out here. We of course were out to sea for all the major holidays this year so morale was getting low. I am happy to report thought through teamwork and dedication from all our supporters out there we had some decent holidays. Nothing will replace the feeling of being at home with our families but the love and support you guys have shown has definitely lifted our spirits. 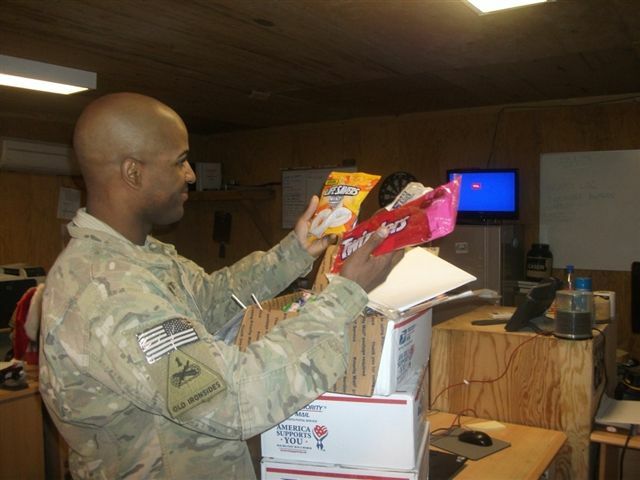 I received well over 30 boxes and all my shipmates were glad to have something to open on Christmas. From the snacks to the decorations to the Santa hats everything was put to good use. I apologize for the lack of pictures but I promise I am working on it our computers are really secure so we have to jump through a couple hoops to get personal stuff put on them. This time I cannot make a list of our outstanding supporter simply because the minute I got the boxes I was delving them out to my guys who did get anything. I did notice that the HOME foundation came through with SOOOO much stuff so all you HOME members a big thank you comes from my guys and I. It's because of all of your support we continue the good fight out here thank you so much for keeping us company with letter and card and food and everything. If I had a chance I would personally write a letter to each and every one of you but I think my hand may fall off :). We hope your holidays were good keep us in your prayers. 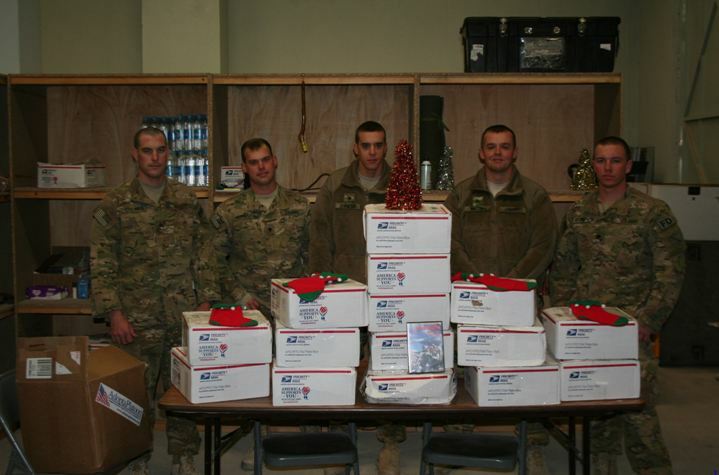 From our military that are receiving your care packages! 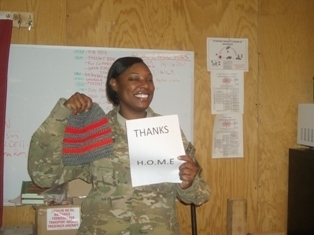 We really appreciate the gifts, and items that was sent with kindness. Everything was took en with much gratitude. To take time out of your day and to send quality gifts shows that people do sincerely care. I know for a fact that I can personal use 99 percent of the items you guys sent. Shaving razors, mouth wash, baby wipes, Christmas music and nice letters. Even though you guys are not Soldiers your serving your country. 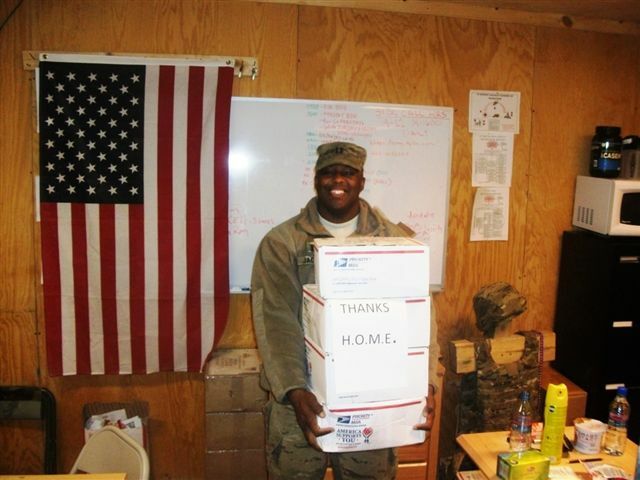 We have to sustain some sort of peace of mind out here, and you guys help us do that by sending care packages. So we are all a team with one mission. I wish Politicians could compromise just as us. Take care. I would personally like to thank you for all the care packages. As a proud Soldier serving in honor of Operation Enduring Freedom it warms my heart to know there are organizations that care so much. 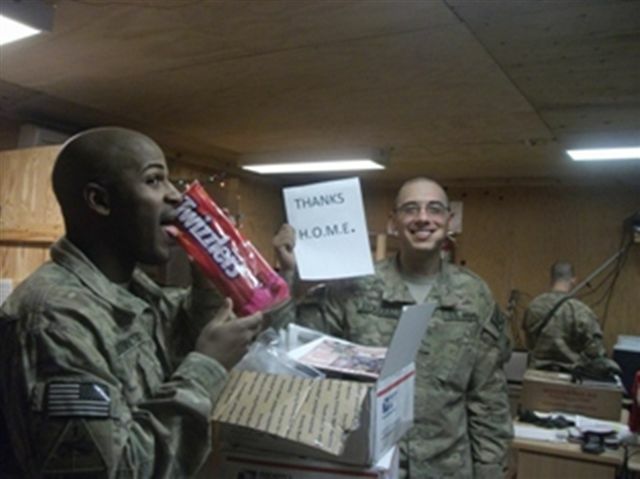 Your packages makes us feel appreciated and drives us to continue to fight for the men and women of our great country. 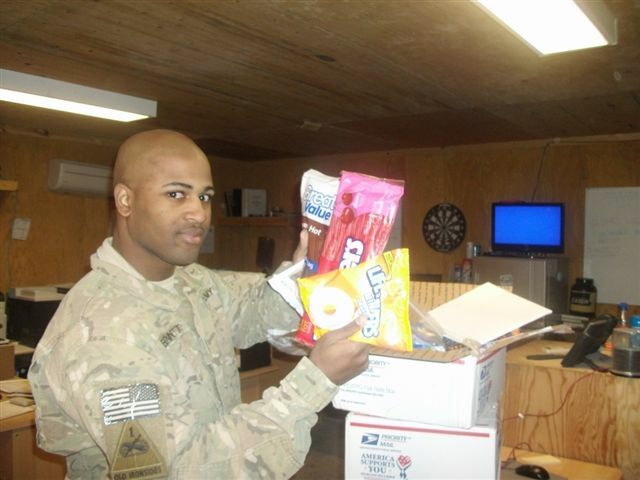 I wish I could explain in words how much of a morale booster your packages are for me and the soldiers who serve along side of me. 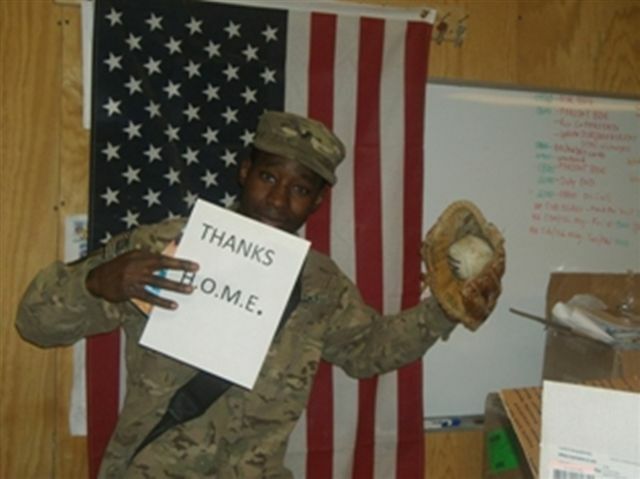 During the holiday seasons when so many Soldiers are alone and away from their families receiving a package with a letter from a young American showing their appreciation for our service is amazing. Sorry it took so long for me to send a message back I apologize, but with the demanding task, connectivity problems and fight against the taliban it sometimes is a challenge to find five minutes of personal time. I set aside this time to thank you and let you know your work is not going without being noticed. 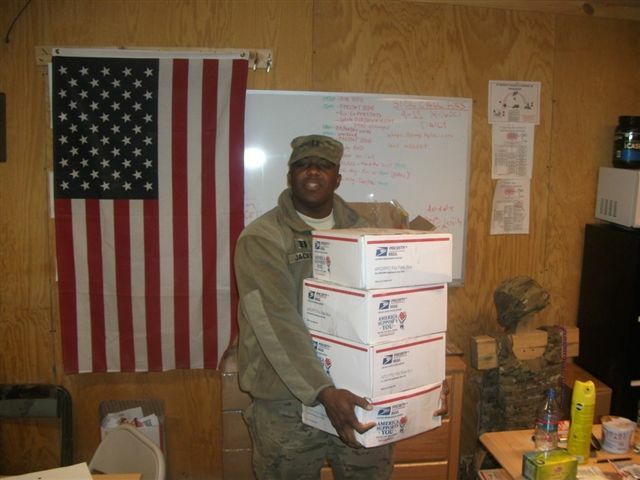 I have received countless packages from you and I have shared with over 300 soldiers. Of all the packages I think everyone loved the chips and cheese dip the most, I must say it has put smiles on many soldiers faces. When I get back to the states in the next several months I would love to donate to your organization. 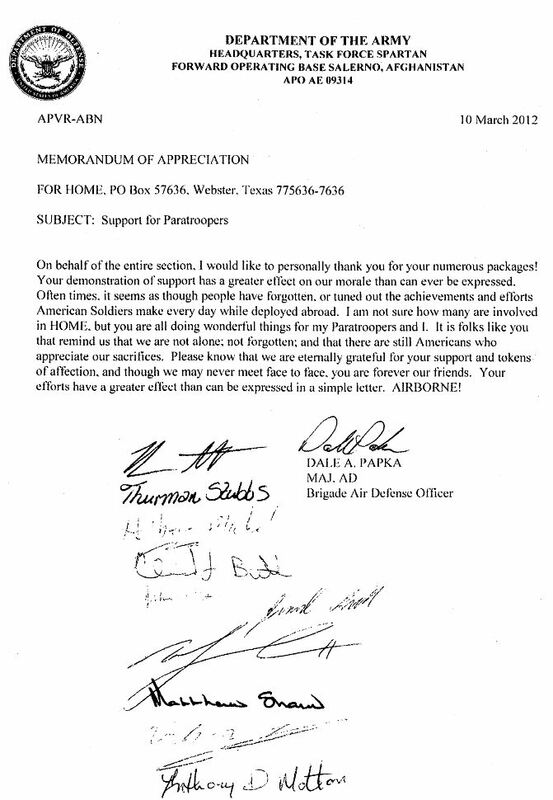 My Battalion Commander would also like to send a token of his appreciation on Behalf of the men and women of 2-5 INF Battalion. So please continue to help the Soldiers of 2-5, but also the other Soldiers spread out over the middle east. You have a great organization and it really means allot to us. So again I would like to say THANKS HOME. 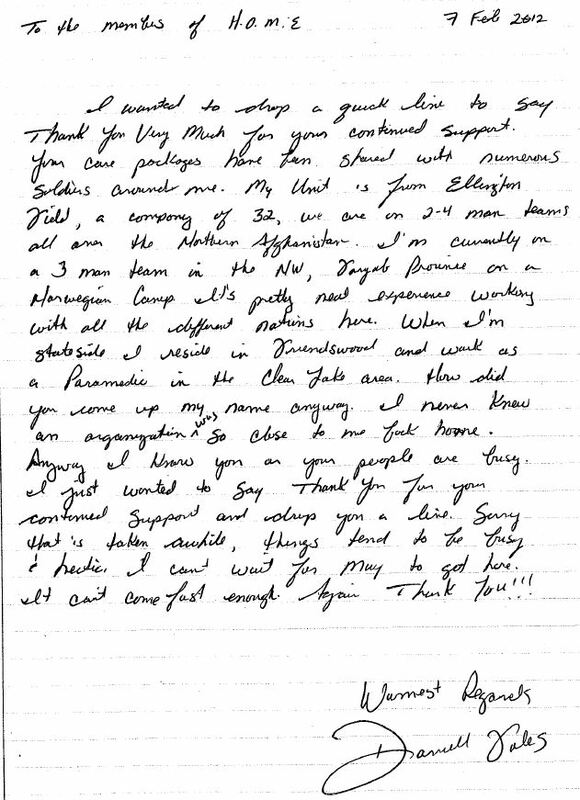 Letter from Elizabeth Bookhoop. Click image to view larger. 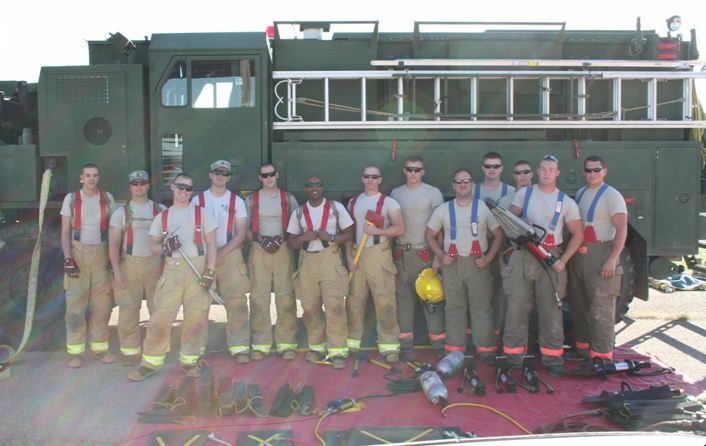 On behalf of the 176th Firefighting Team I want to say THANK YOU!!!!! You are awesome!!!!! Thank you so much for the books, snacks, knit scarfs, knit caps, detergent, music, sadukoo, batteries, word searches, movies and everything else you have done. We had a great Christmas because of you and all the others who have selflessly taken the time, effort and money to care. It helps us to stay motivated while away from our families and friends when people we have never met care. It helps us to feel that pride we have for our great Nation when we feel your support. It is very hard for me to put into words the kind of gratitude and appreciation we have for you and everyone at HOME. We have been blessed by you and we know that in turn you too will be blessed. 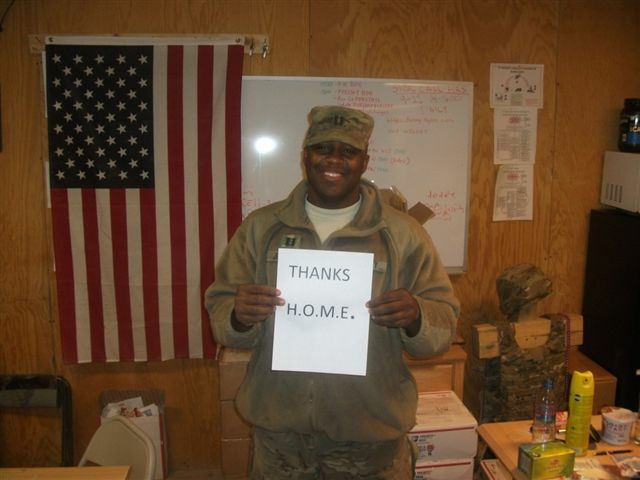 We love to read the cards and letters that are sent along with the care packages. We have recieved letteres from fellow veterans who have fought in WWII, Korea, Vietnam, Desert Storm, Iraq, and other areas. It is nice to hear their story and why they have come to belong to this program. Everything you have sent to us is right on the money. We are doing great here and are preparing for a cold winter. They have told us that we should be getting some snow from now until possibly March. They say it will snow for a little then warm up and then snow again. This will be our first winter here. I will try to take some pictures of the surrounding mountains that have already started to be covered in snow. Every morning we have to check all the fire trucks to make sure the water didn't freeze in the pipes along with all of our personal firefighting equipment. Fortunately our days consist of mostly training and not much action. When we are busy it is usually somebody's worst day. We also help with building inspections here. We try to make sure that every tent and structure have the right amount of smoke detectors, extinguishers, and batteries for the smoke detectors. Because some of these buildings here are makeshift we check to see if we can prevent some hazards with electrical wiring and other potential hazards that might get overlooked. We also get to workout some. This is most of our favorite thing to do. We are looking into joining the 911 challenge for fitness. This is available to all fire, police, EMS, military personnel. The money raised gets donated to St. Jude's which is a group that has been supported by many fire departments nation wide. I don't know if we will win but it is always fun training for a purpose. 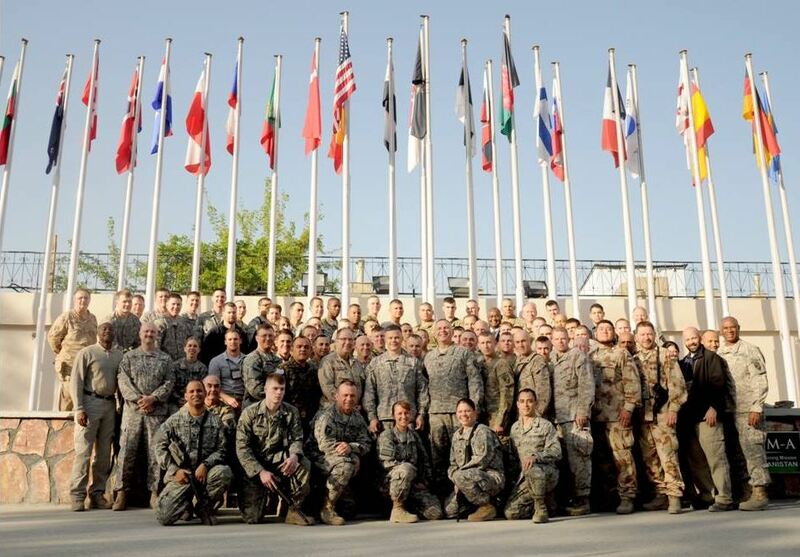 Again I want to say thank you from the bottom of our hearts for your selfless service to us and to our Country. I hope you had a great Christmas and a Happy New Year. Please stay safe and feel free to email me at this address. I do not have constant computer access so it may take me a little to answer you so I apologize for that. I will promise that I will respond as quickly as I can. Due to recent activity the roads were black (no travel) but today they made a postal run and I got all your boxes. Question, is there anything that will go bad? I did want to get some pictures for you but I am leaving for a conference in Qatar in the morning. I was going to wait and open them when I got back on the 28th. Holy crap, another truck just came in with more! Okay, just opened the box with the knife sharpeners...told you we were fine! Nothing quite as creepy as a room full of people sharpening knives.